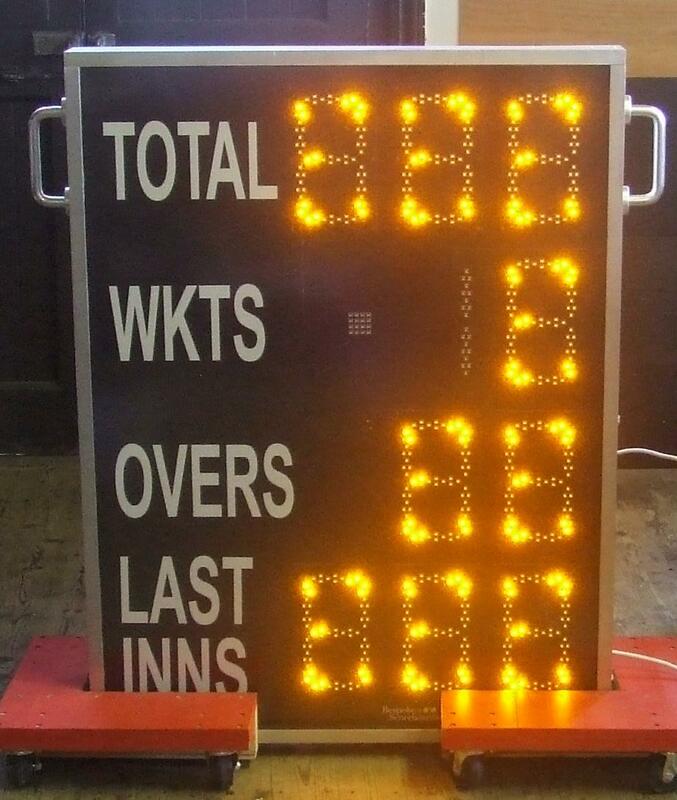 We make our scoreboards to the highest standards using the best quality components but sooner or later even the most reliable products need a service. Why is my scoreboard not working ? Have I switched it on - it is surprising how many people do not connect the cables or forget to press the on switch. If the scoreboard is wireless is the transmitter switched on and is the aerial connected. Connect the control panel to the power pack using the lead supplied. For wired systems the LEDs should be illuminated when the power switch is on. For wireless systems the two charging LEDs should be illuminated. If you suspect that the wireless link is not working connect the control panel directly to the scoreboard using the wireless by-pass cable supplied. Please Note - our warranty is for 12 months from the date of purchase or installation and is back to base. If you require an extended warranty or a maintenence contract please contact us. To make the transaction easy we accept payment by credit or debit card, PayPal or by BACS.